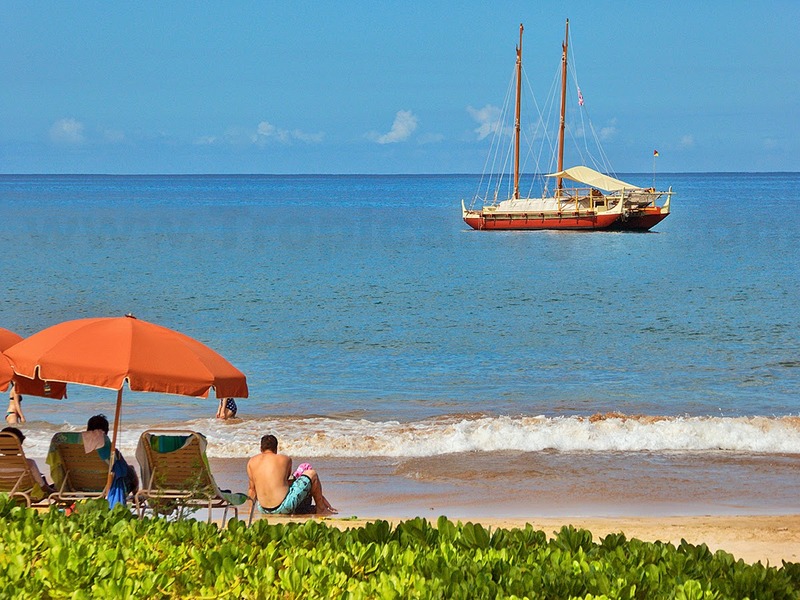 Mo'okiha O Piilani visited Wailea this morning for cultural activities in conjunction with the Grand Wailea Resort. 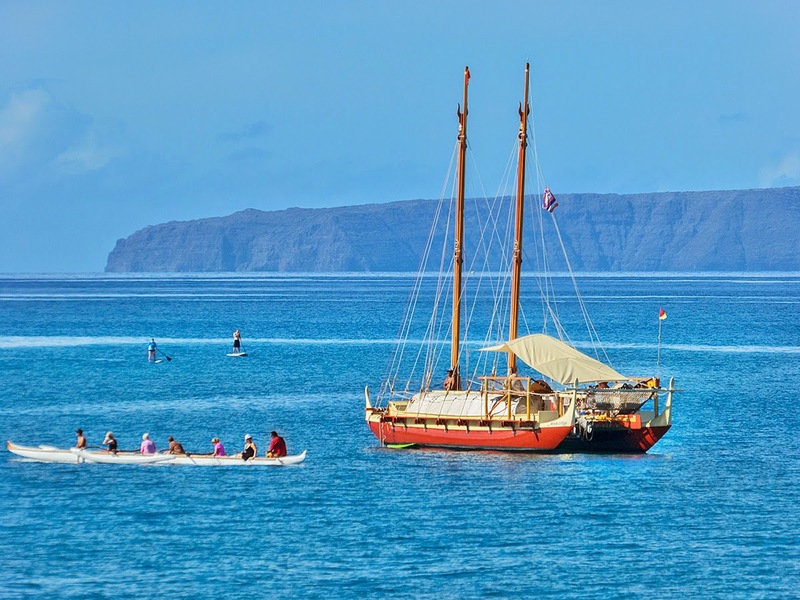 This traditional Polynesian sailing canoe was built by volunteers on Maui and acts as an educational resource for the young. 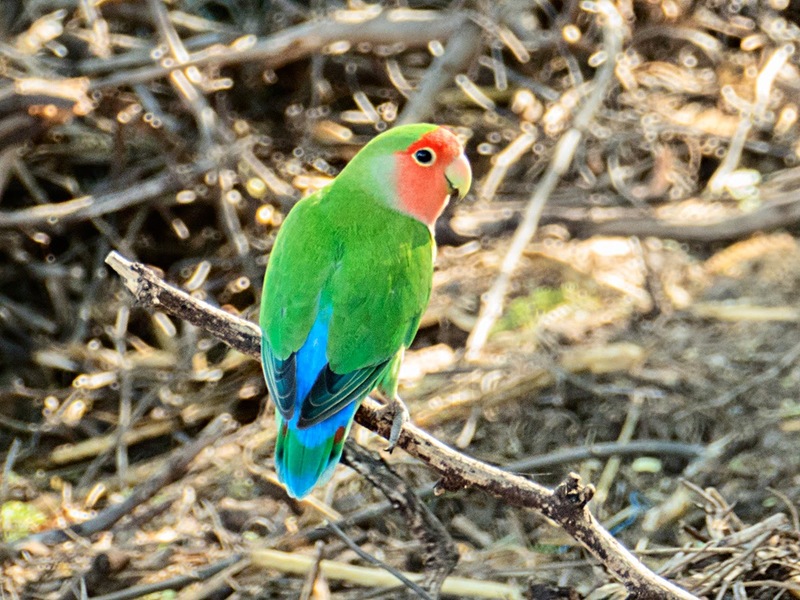 Also spotted on my walk this morning was a pair of the Peach-Faced Lovebirds which roost by my house every night. I now know that they forage many miles along the shore during the day.